Skills and abilities: Trained magician. Powers: Superhuman strength, speed and flight due to cyborg enhancements. He also had an assortment of mystical and magical based abilities. 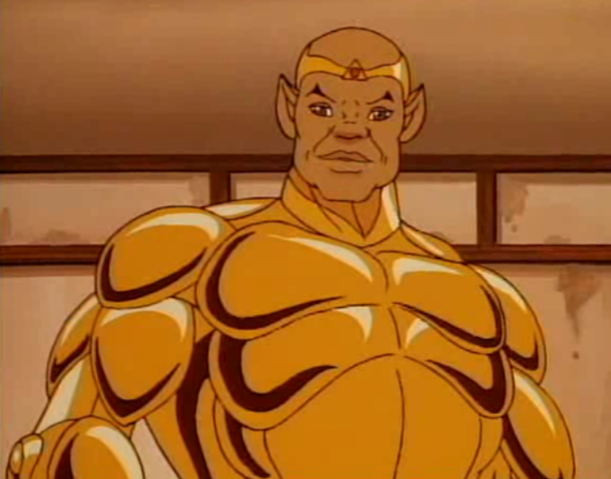 Chosen by a mystic force to battle evil Hotwing was a gold plated Silverhawk member of African descent who made his debut in episode twenty one. He had a weapon bird called Gyro and had to have his power recharged every fourteen years. In his first appearance he rescued the original siverhawks after they were captured. Wow! Hot wing ? Really? Why don’t I remember him? I was a Silverhawks fan. @ Dennis no matter how you arrange that hotwing is not the greatest name but he was a good character. I was glad they created this character. But as wytewashed the 80’s were as least he looked awesome all decked out in gold. And he had actual powers. Whereas the hawks just had lasers and stupid feet jets. Typical he never stayed on as a regular. Wish he did. After all that I’d WHY earth sent Hotwing in the first place. This show was stupid like they. In so many ways.